Commissioning (Cx) is not just a checkmark for a green building certification; it’s for owners who want to ensure that their building meets operational goals. 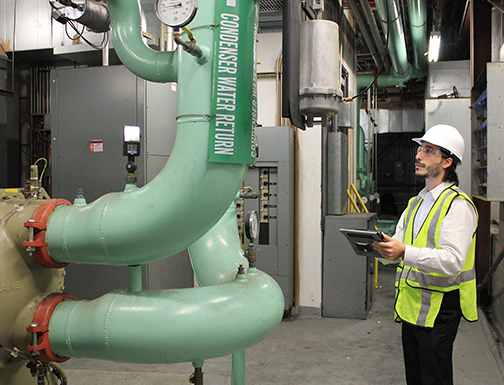 Commissioning is the first step in maintaining your building’s systems and controls at peak performance. Sustainable Investment Group’s (SIG) promise to you is a consistent team throughout the project lifetime from design to occupancy. When SIG joins a team as Commissioning Agent (CxA), we humble ourselves to be a team player and keep the big picture in mind. We use the Owner’s Project Requirement and Basis of Design documents to define the end goal, and act as an organizer to keep the overall vision in primary focus. From an objective viewpoint, SIG’s engineers use their logical aptitude to problem-solve any potential conflicts in the design. Once we commit to a project, we take it all the way. We treat every project with the same attention and care as it were our own office. Whether your timeline is four months or two years, you can rely on Sustainable Investment Group (SIG) to not miss a beat. We understand that every thermostat and lighting control is essential to the whole-building success. That’s why our team cultivates the discipline to work systematically and document everything so that no kW gets left behind. If you need Commissioning services, please contact Scott Baker at 404.343.3835.